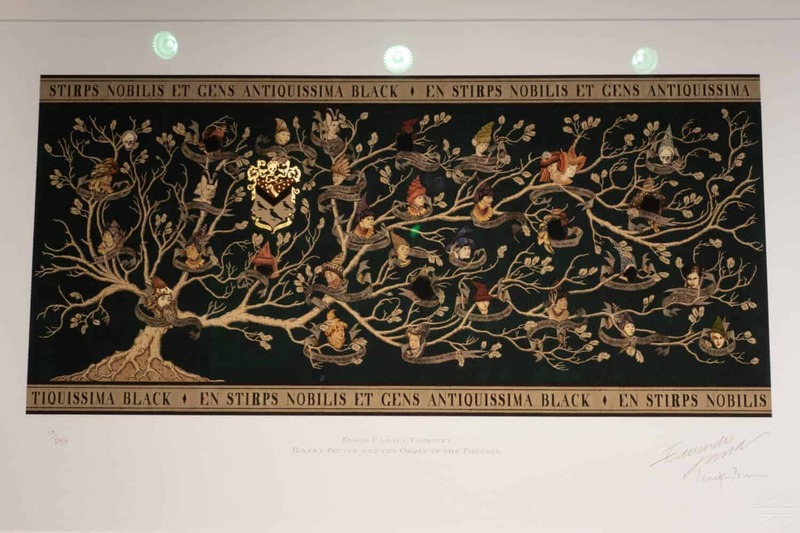 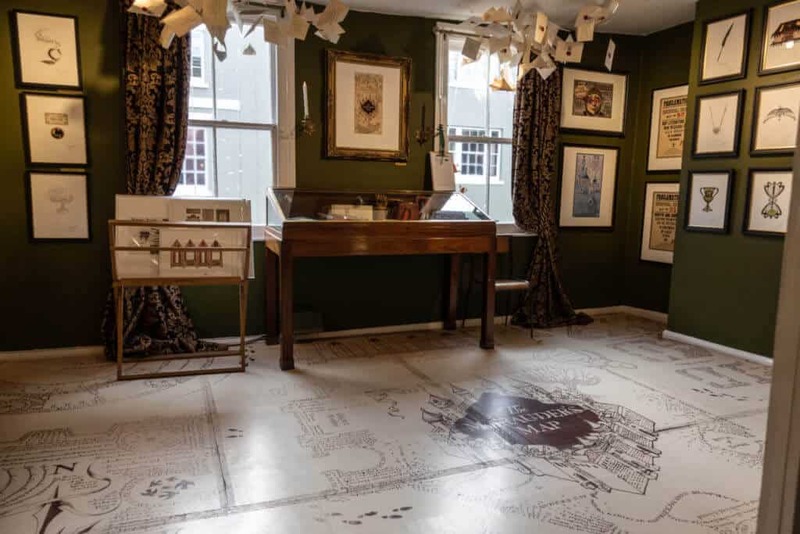 I had heard of the House of MinaLima, but it was serendipity that I happened to drop in on this gallery in London’s Soho area (much to the envy of my Harry Potter fan daughter–I’m expecting a howler) as I had made no discrete plans to go there during my visit to London. 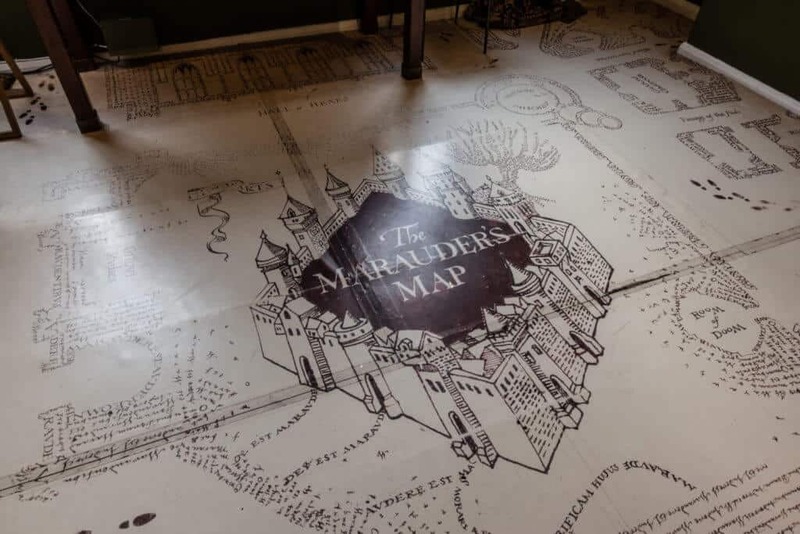 I’m glad I did. If you don’t know about MinaLima but have seen the Harry Potter films, you know them. 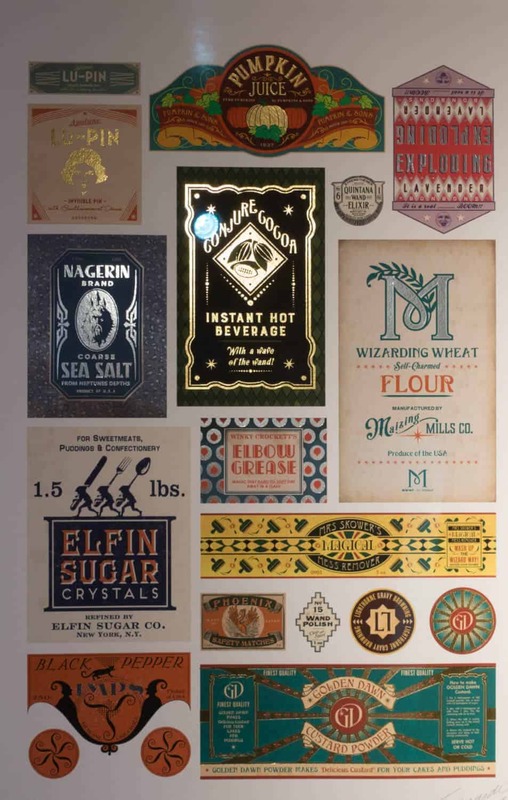 You know them from the packaging of Weasley’s Wizard Wheezes products, from the wanted posters warning of Sirius Black, from the pages of the Quibbler. 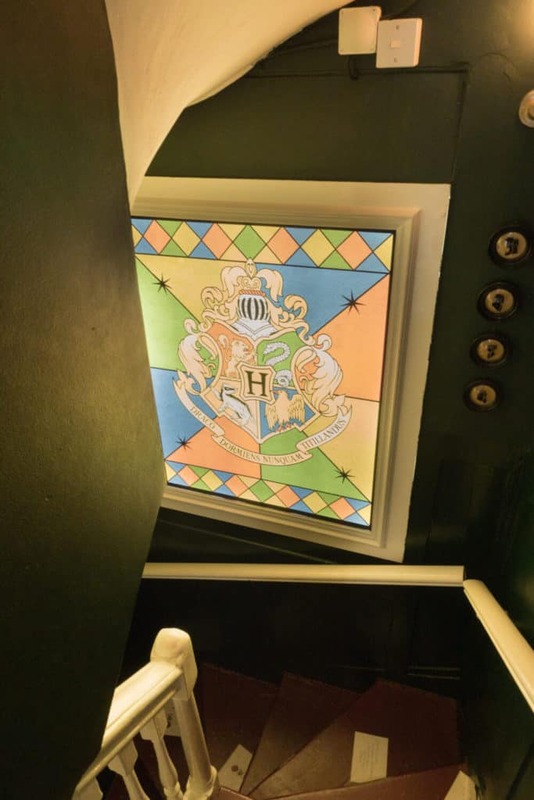 Even the letter from Hogwarts was designed by the team of Miraphora Mina and Eduardo Lima who have been working on creating the look of JK Rowling’s Wizarding World 2002. However, this is a gallery, not yet another Harry Potter shop. 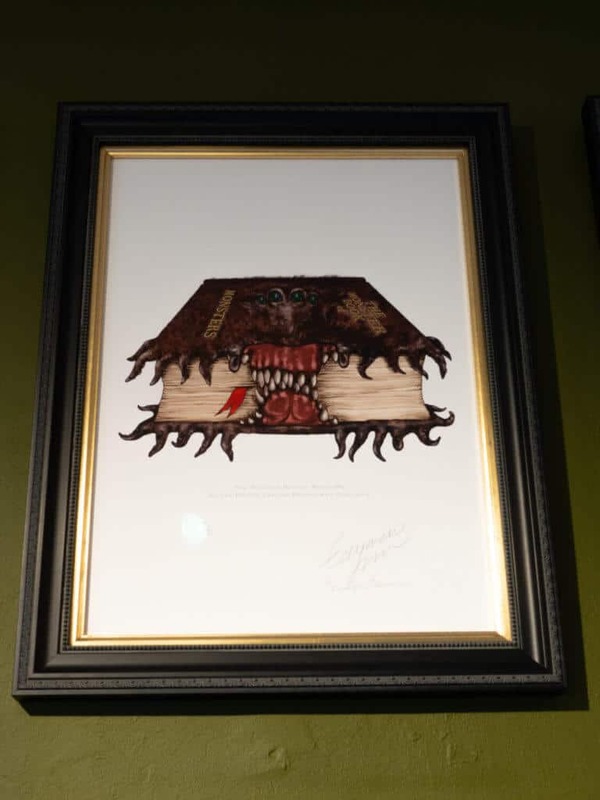 You won’t find the usual assortment of commercial Harry Potter goods (though many of the HP shops feature products of their design). Here are some things you will find: original signed art, a Marauder’s Map floor, and paper props including wizard playing cards, product labels, and books. One of my favorite things in the shop was the staircase, solemnly swearing that it’s up to no good. 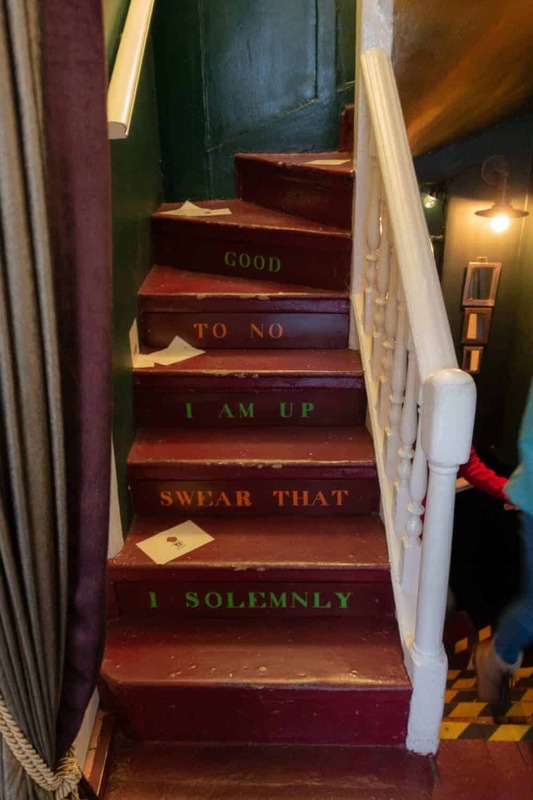 Hmmm…my staircase is in for a revamp! 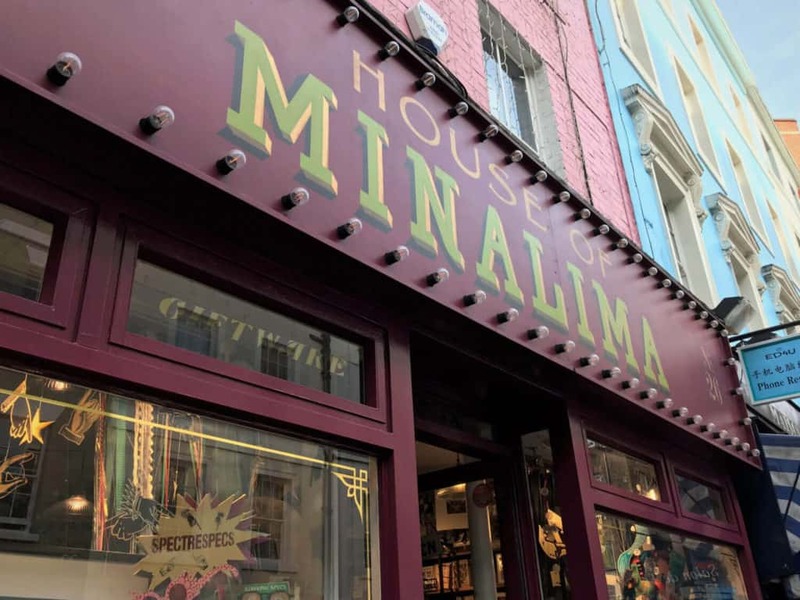 Where is the House of MinaLima? 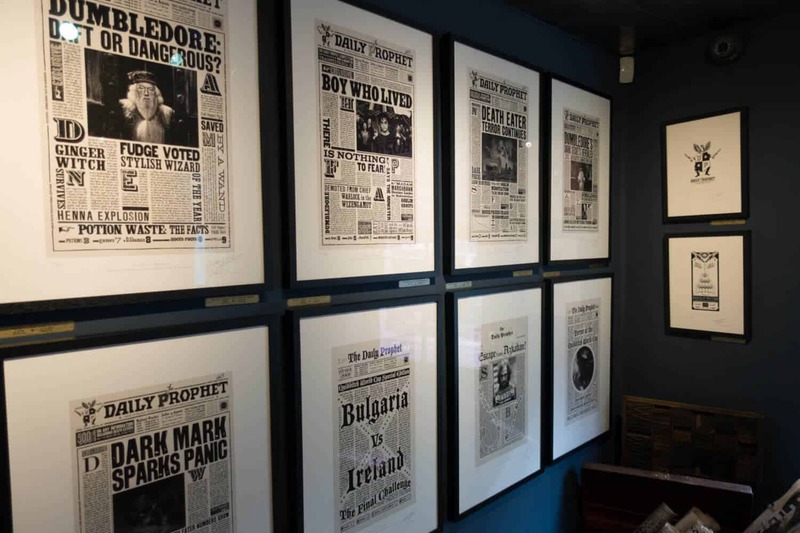 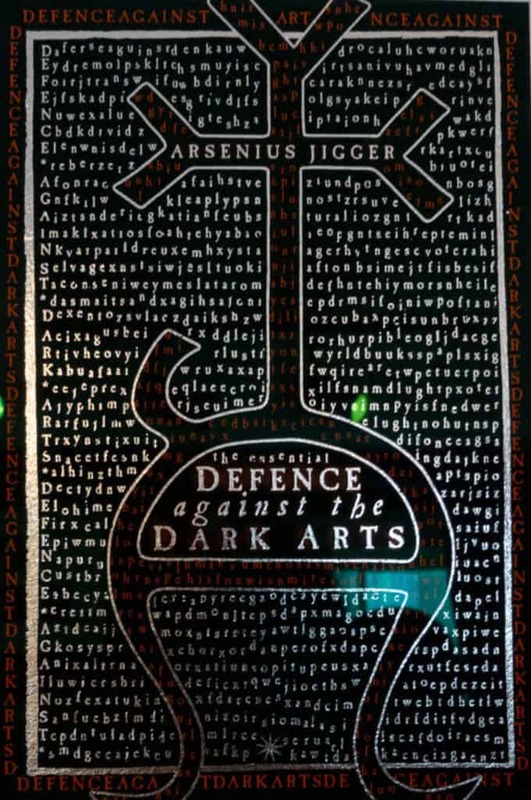 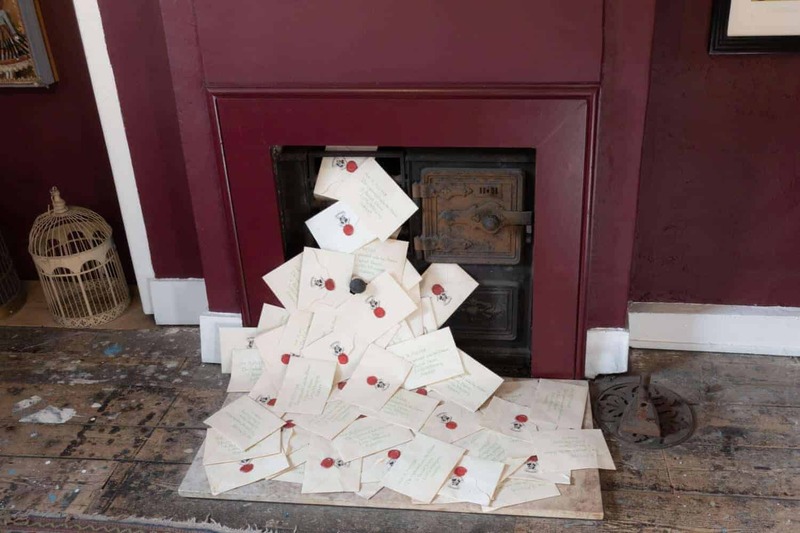 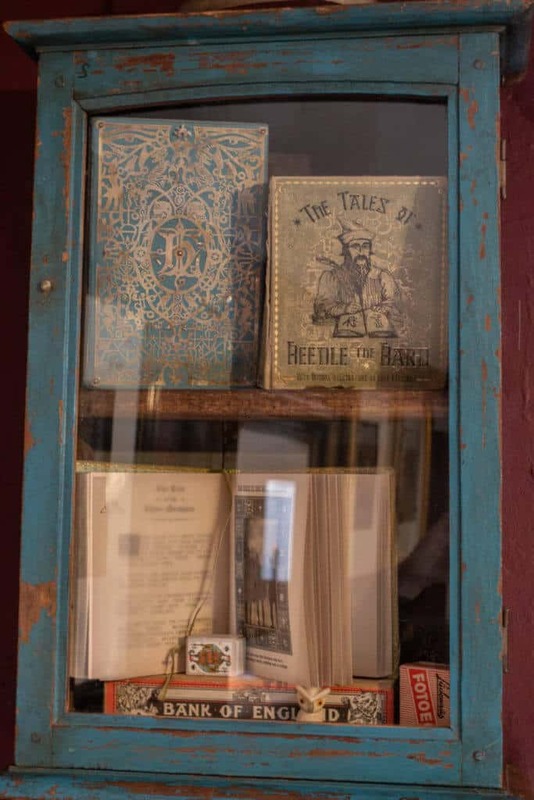 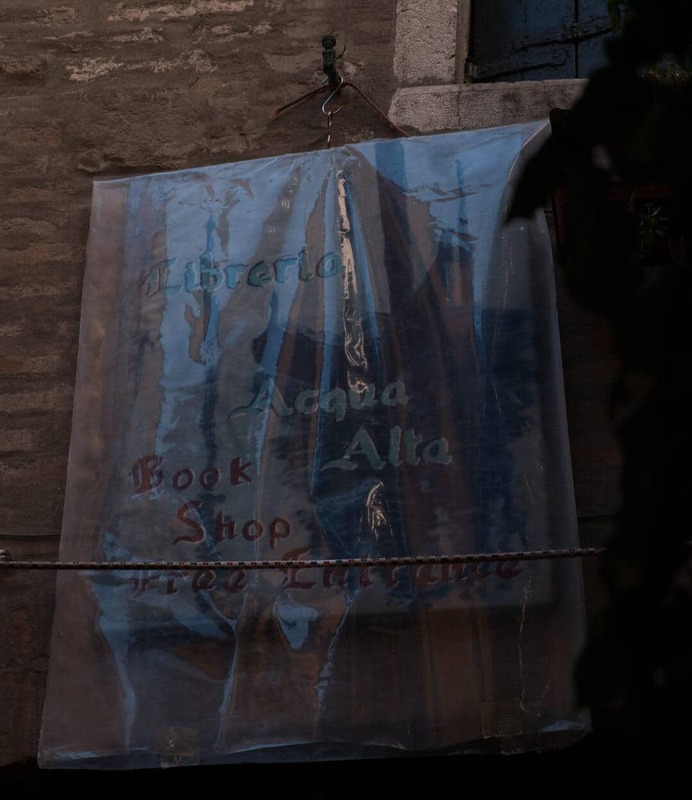 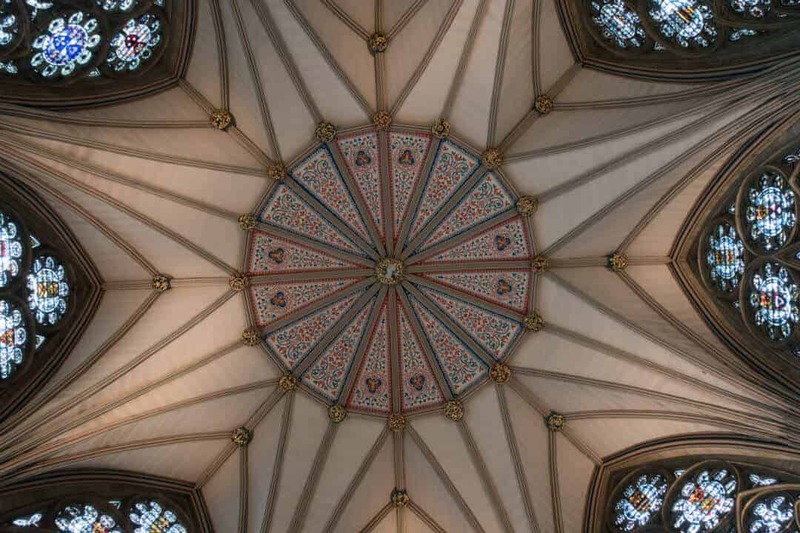 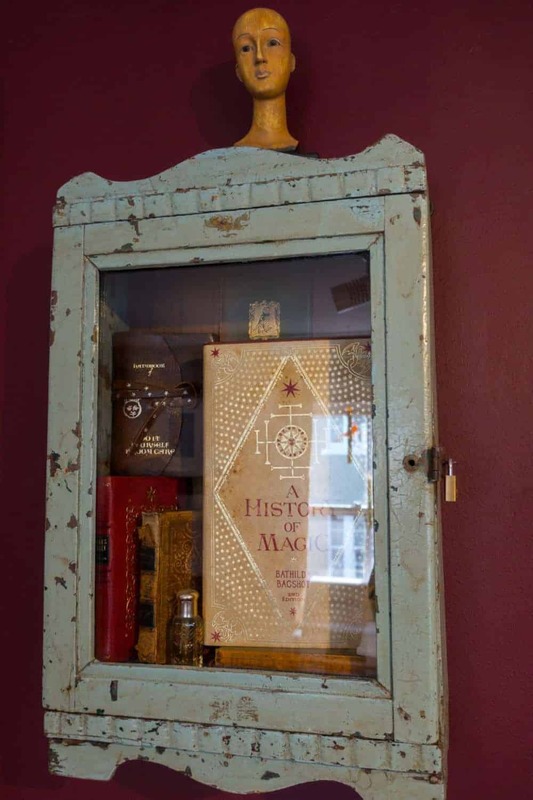 A magical gallery of Harry Potter and Wizarding World ephemera in London’s Soho district.